In the rooms which I spend a lot of time, especially while working, I like to decorate with some of my favorite collections. Also, if I'm going to have people in my house (and we host a LOT of family gatherings, more frequently for Mr. P's family than mine), then I'm going to put out some 'stuff' (Mr. P's term) in rooms where people will see it. Part of the fun in collecting is sharing with others, after all. Take my laundry room, for example. My laundry room is a hard-working room. Besides being the place where I do laundry, it's a mudroom right off the back door, and a sort of potting shed right near the courtyard. Well, maybe not a potting shed, but it's certainly where I change out hummingbird feeders and water indoor plants. Lighting in here is great for work but, without a window, poor for photographing. It's actually a full bathroom, not just a powder room, right off the kitchen and sunroom area - a place to shower (or hang laundry or water plants). 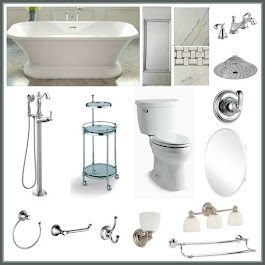 So, I keep a few utilitarian collections in my laundry/mudroom/bathroom/powder room. What's there is kept out of the way, though, because I primarily need the space to sort, soak, hang and fold laundry. One of the collections I keep in this room is part of my brown transferware and undecorated ironstone (they count as one collection in my book). On the shelf above my utility cabinets in the laundry area, I have several pieces of the transferware (ironstone with patterns applied in decal fashion) and undecorated ironstone. I use these pieces for anything from cut flowers to dried arrangements, rolled towels, etc. Few, if any, of the pieces are perfect, but they're perfectly imperfect to me. None are of any particular pedigree, I just like them. The transferware pitcher on the far left of the shelf is an unusual one (from the aesthetic period, 1870-1900). It was a memento from a trip to Lexington, Ky at a place called Joe Ley's Antiques, a very cool, circa 1890 schoolhouse, converted into an antiques store. The pitcher on the far right has its original bowl (sitting on top of the dryer), sourced from an auction. All the other vintage and antique transferware and ironstone pieces have been bought at various estate sales, auctions and antique shops over the years. The old wooden boxes (used as risers) have advertising graphics on them - whiskey, I think. On the wall with the toilet, I have a small stepladder/stool under the lightswitch plate (photo below). I use it mostly for displays of a couple other collections. The bottom step folds in/out, and it's pretty handy when I do use it to reach the tops of those shelves. The French wire basket on the top of the stool holds extra hand towels, while the bottom step holds a mix of crocks that I sourced from an English chap with a unique story that I told here. There's another piece of brown transferware on the bottom step, also. My vintage, utilitarian whisk broom/brush collection is contained by these pieces. The whisk broom with the red in it is a child's, and the one in the small, bloater paste crock in front is encased in a leather sling- a man's clothes brush, also with shoe horn. I have another brush, of boar's hair bristles, also leather-clad, at the vanity, inside a handleless, transferware cup (below). It is also a gentleman's brush, from a local estate. The shells are collected from various trips. At the utility sink left side is a little polychrome transferware soap dish. On the right side is my chippy putto, which I use to hold my poison ivy soap and nailbrush. These are my hard-working supplies after gardening. The orchard ladder in the corner of the laundry/mudroom/bathroom (Amish country) holds a few of my vintage linens and grain sacks, mostly decorative, but can also be used. I've tossed around the idea of hanging a couple baskets (which I already have) underneath the utility cabinets, above the appliances. While it would probably look better than a blank wall, it just doesn't make sense to me because that space is almost perfect for placing my laundry basket (or two) to corral clothes after folding. I like pushing the basket against the wall and still have room to either lay clothes and/or fold in front of the basket. Plus, if when I dropped something while putting it or taking it out of a hanging basket, it would only aggravate me to have to do gymnastics with a reacher or vacuum cleaner hose to retrieve it. So, the wall remains blank. Collections can be part of your decor as little accents, or amassed, however it suits your style. They can be for their originally intended purpose, or be totally repurposed for something else. They can be placed to provoke conversation, or just simply fill a void. For me, these collections just made sense in this room, massed together, and with a purpose, if needed. They are more than just something to look at (which makes me happy and fills my most basic desire); but, because they're mostly utilitarian objects, they can be used today, just as they were years ago. Do you spend time thinking through placement of your collections? Do you scatter, group them, or do a little of both? 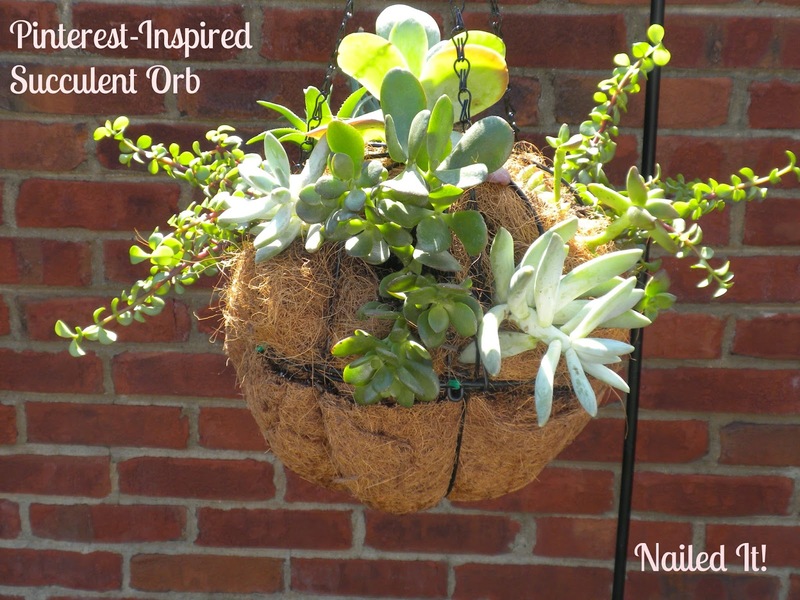 Succulent Orb - Nailed It! Okay, so you've seen those often comical posts that start from Pinterest, where someone's inspired and motivated to try something. The pin makes something look so easy to accomplish, but somehow it doesn't quite turn out that way, right? Apparently others liked it too, with 425 repins as of this writing. With a little digging on the originally pinned site's content, which reviews the book from which this idea comes, Succulent Container Gardens, by Debra Lee Baldwin, I found comments giving how-to instruction ideas (not necessarily the author's prescription). So, as if I didn't have enough other chores to do in my own garden, I go to Lowe's, looking for more. I would have started this project last year, but only bought one 10" hanging basket at the time, then could not find any, anywhere, the rest of the year and even early spring this year. I found the 10" hanging baskets at the Dollar Tree last week (without the liners), so last week went to Lowe's to scout other supplies. Succulents are expensive, at $3.98 for a 3" container at Lowe's. I checked the orphan rack - none there. Then, I found two succulent containers, without prices, and no others like them. They each had 7-9 of the 3" succulents arranged inside (which would've been $28-$36 for each, or $56-$72 total). The manager got on the computer and made two tags for me - $9.98 each - BOOM - $19.96 total! So, I gathered some cactus soil and a 14" basket liner that I decided to cut to 10" (none of those were to be found, either, but I still had the one from last year's purchase). Total money investment, with tax: $30 (including baskets from Dollar Tree). I admit, the plants looked good already in the containers, but I was now on a mission. I cut my liner, and filled each of the hanging baskets with the soil. I used the entire bag, packed it down, then soaked it, as the reader comment on the original pin site suggested. The next step was to connect the two baskets, so I placed the potting soil bag over one, and carefully aligned it with the other full basket. After aligning the baskets into an orb, I slid the bag out from between the two, and connect the baskets. I used twist ties (didn't have those plastic, self-adjusting ties). The next step was to let the basket orb dry out for 24 hours, but I was already growing impatient, it was supposed to storm later in the afternoon, and so I soldiered on. It was very hot outside, but I put the umbrella up, and worked beneath it, in the courtyard. 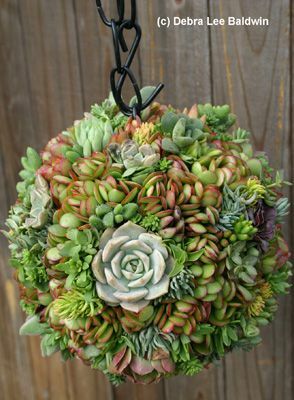 The directions said to then cut X's into the liner, and place the succulents into the orb / ball. Easier said than done. It was more like cutting and stuffing, trying not to sever the succulents into the orb. I used one entire container's worth of plants, and still had space on my upper half of the orb. Not to be discouraged, I spaced what I had of the one container on the upper half. Then I quit. Want to know why? I quit because I decided I nailed it! Pinterest-inspired succulent orb / ball - nailed it! Lol, this looks nothing like the Pinterest inspiration! And, there's a reason why you should wait 24 hours for the soaked soil to dry out - it's frickin' heavy! Look how it's bending my shepherd's hook, below! Succulent orb / ball - weighty when wet! And how in the world am I supposed to cut holes in that bottom half and stuff succulents into it, without both the plant and the dirt falling out?? For now, I've decided to leave the basket orb as it is, let it dry out from the soaking I gave it, and come back to it once the succulents have a chance to take better root. Then, maybe I can flip the ball and hang it upside down and work right side up with the side now untouched. I'll leave the undisturbed container on the table in the courtyard, and the project ball on the hook, in the back corner. So, with the rate at which succulents grow, I should have this project complete in, what, about 3-4 years? The good news is my sunroom is climate-controlled year round, so I can move these succulents to the [mostly] glass room when conditions are less than ideally dry and warm outside. Oh well...I guess it doesn't look too terribly bad, it just doesn't look like the pin. 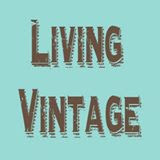 Have you ever tried a Pinterest project - recipe, craft, DIY, fashion look - that you just nailed?? I'd love to hear some of your stories. 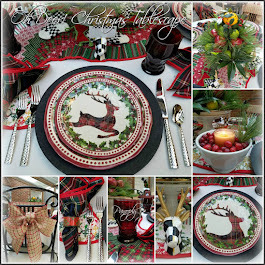 Rustic & Refined's Table It! 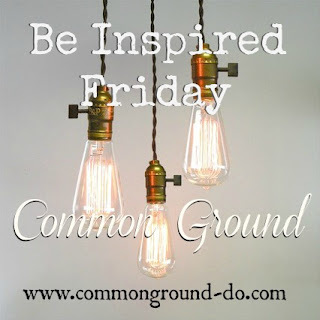 I love clipping and pinning inspiration ideas for my racing mind, and if you follow my blog (thank you! 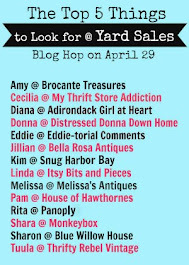 ), you may also want to join my activity on Hometalk (click here, or the Hometalk button on my blog sidebar). 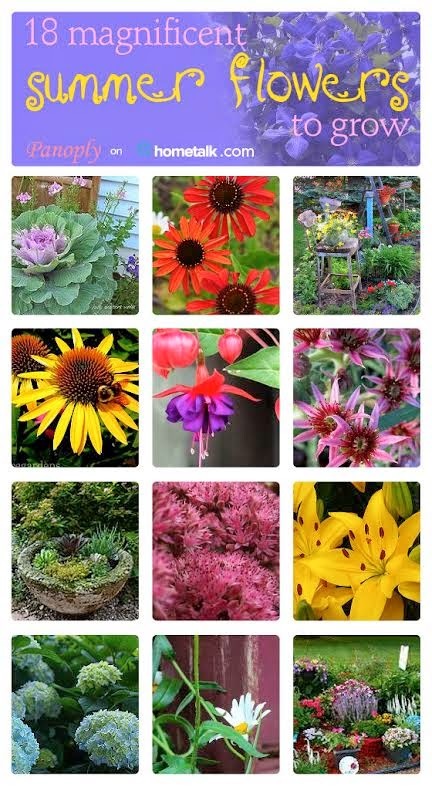 I just finished curating a board of Magnificent Summer Flowers to Grow on Hometalk, and I invite you to explore some of those inspiring ideas by simply clicking on the collage image below. Once you're on the Hometalk link, you will see the board has each original source / creator of all the individual posts clipped there. 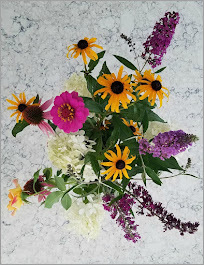 Although it's early into the 2014 summer growing season, I used some past posts in my best efforts to encompass a good variety of bloom times spanning from early to late summer, sun / shade tolerant flowers, and representations of most growing zones. 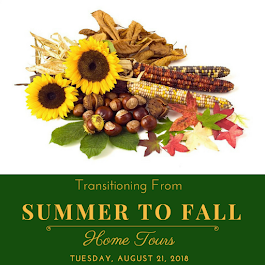 Once you're at the linked page above, you can just click on the "FOLLOW" button below my photo, and you'll be following all of my activity on Hometalk, including ideas I've shared, along with those of others I'm following. Or, you can choose to just follow the particular boards you're interested in, or start your own! I have found Hometalk to be a very user-friendly way to not only clip ideas to boards, much like Pinterest, but to be able to engage with others through comments, messages, and even through posting questions, similar to Facebook. When you post an idea or question, the member community of both pros and amateurs jump right in, and help you find answers to your everyday home and garden dilemmas, and give you immediate feedback on projects you're sharing. Many thanks to those who are following me and supporting me, both here and on Hometalk. 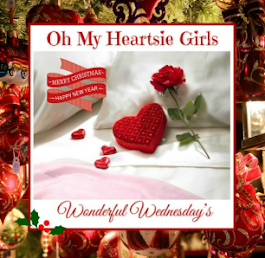 We all help each other in blogland, and that makes for some great conversation and friendships, both virtual and real! 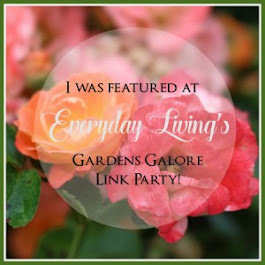 Today's tablescape post is directly related to the post I wrote earlier this week on The Historical WV Greenbrier - America's Resort. 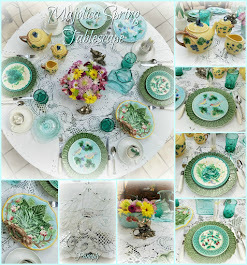 It is a table set almost entirely with china and serving utensils collected either directly from the Greenbrier, or inspired by the designs of Dorothy Draper for the Greenbrier, in White Sulphur Springs, WV. It makes for a bright and whimsical table setting. 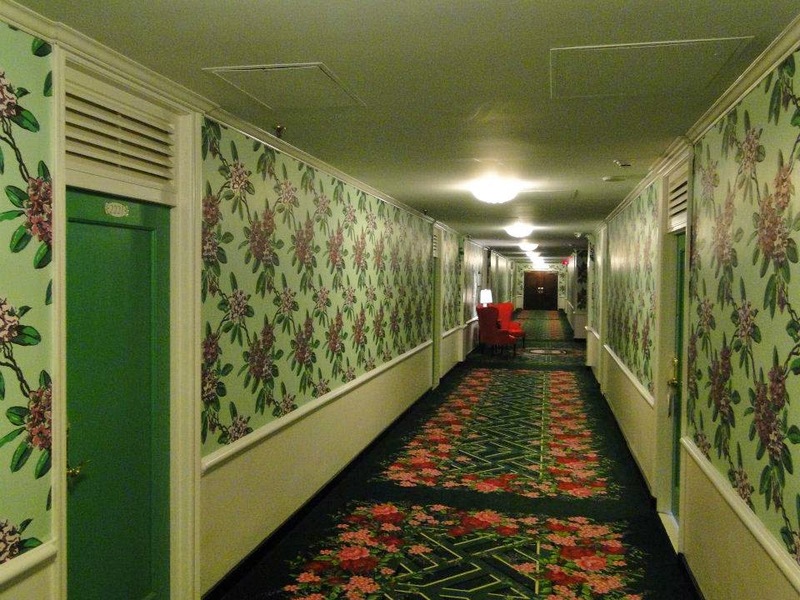 When the famed resort was redecorated after World War II, Dorothy Draper stamped her bold colors and oversized florals on almost every surface at the Greenbrier. The rhododendron, West Virginia's state flower, took center stage on everything from fabrics to china. The restaurant ware china most notably known as the Greenbrier's - white with green rim and rhododendron transfer on the plate's center as one example - was commissioned into production and made by several companies as part of the branding strategy. 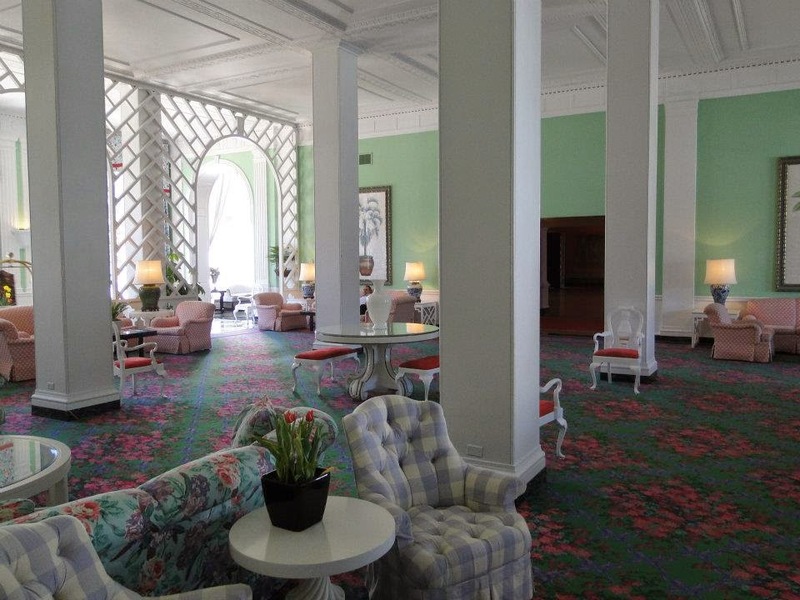 The companies which have made the Greenbrier hotel china include the Homer Laughlin China (HLC) company of Newell, West Virginia, as well as Syracuse (NY), Mayer, and Shenango China companies (both PA). 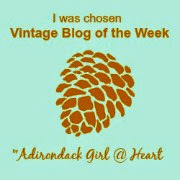 More collectible Greenbrier china pieces would include those marked with "Made for the Greenbrier, Styled by Dorothy Draper Inc, New York", most of which I have seen being made by Syracuse. However, I have a regional interest in owning the HLC company china, being that it was produced here in my home state, so the higher pedigree remains elusive to me. 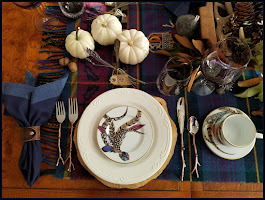 All pieces in this tablescape have been collected from local estate sales, auctions, and antique stores. A few pieces were scoured from eBay. Most date from the early 1960's. There are many variations in the Greenbrier china over the years since 1947 when it was first introduced: some have gold edging on the plates, some do not; some have rhododendron transfers within the cups vs. the saucer centers; some plates are green rimmed, some are pink. The overall design can also vary, wherein the rhododendron was not as prominent, rather it was entwined within a ribbon design on the rim. 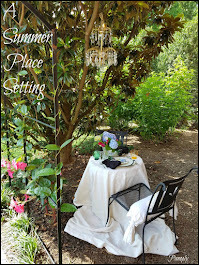 My tablescape is set with the classic pink and green rimmed plates, without gold edging. The HLC cup and saucer have the rhododendron on the center of the saucer. There are two serving plates on the table, including a relish and platter. Other vintage, collected pieces rounding out the tablescape include a jadeite bud vase, silverplate bird salt and peppers, Depression-era stemware, and a pink linen, hemstitched table topper with napkins (layered over a vintage damask tablecloth). The silverplate flatware on my tablescape is vintage Oneida, made specifically for the Greenbrier, stamped on the back with the hotel's logo and maker's names. The front side of the flatware is engraved with the letter "G", in Greenbrier logo, script style. Service for eight flatware was obtained at a special auction held in 2011, whereby much of the original, post-WWII Greenbrier furnishings were being auctioned off to make way for the hotel's renewed excellence and 5-star status. Once native West Virginian Jim Justice successfully purchased the Greenbrier outright in 2009, he was committed to updating all furnishings that were past their prime and glory. The auction was huge, held at the local county fairgrounds, and had three, concurrent rings going, simultaneously. Auctioneers from at least two states conducted the business, and being in attendance for the event was history in the making - very exciting! I was also able to purchase a few other metals, including a hotel silver(plate) coffee pot, and a few engraved mint julep cups. The stacks of china, glassware, uniforms, recreational equipment, rugs, fabric bolts, bunker chairs - even an Electrolux Molteni commercial stove and numerous limousines - were among the furnishings that day! Collecting hotel silver and china can sometimes be the sole objective for some vintage junkers, dealers, thrifters (whatever label you choose). For me, they're cross collectibles - I love china (especially the durable, restaurant ware and ironstone kinds), and old metals (practically indestructible!) - and being hotel affiliated, especially with the local history, make them that much more attractive to me. Plus, if you know me at all, you know I love linens, so this just gives me another reason to dress the table and create. 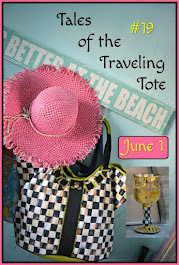 Do you collect hotel items? 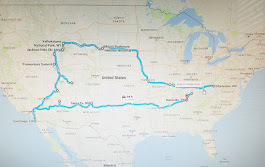 I'd love to hear your regional locales', or even distant, stories, if you do. 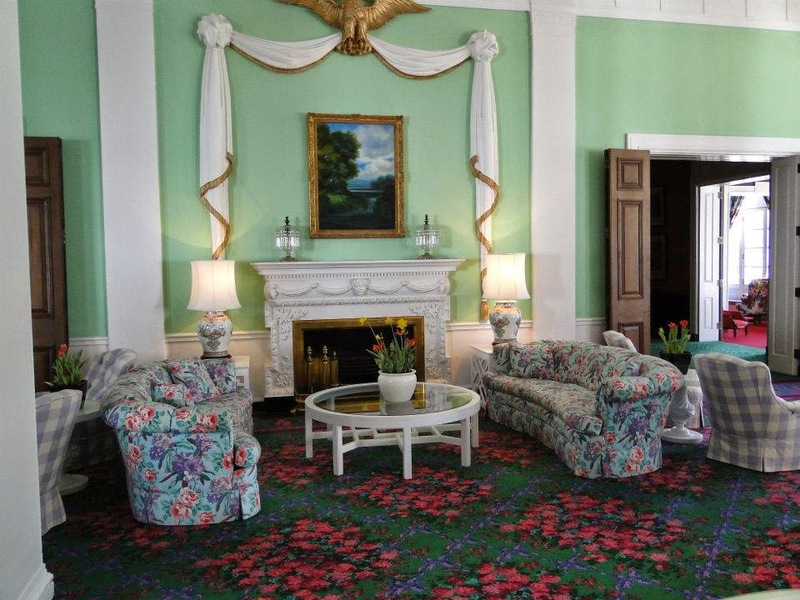 There's plenty more history on the Greenbrier and its change of ownership over the last 230+ years in the link to my last post, furnished both here and at the beginning of this post. You can also go directly to: the Greenbrier.com website for even more information. 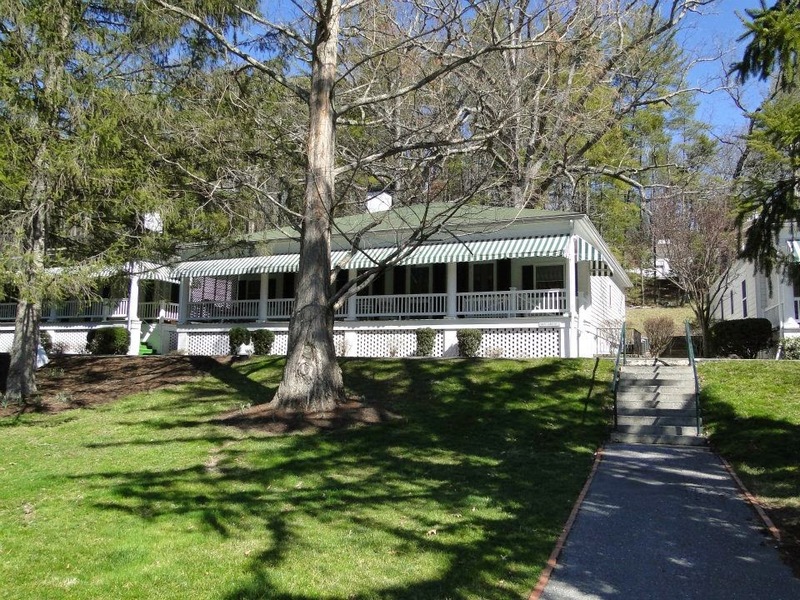 If you've never been to or heard of the West Virginia Greenbrier Resort, well, go grab yourself a nice, tall glass of sweet tea, sit back, relax, and enjoy this armside tour. All of the photos within this post (and there are lots!) are mine, taken while at the resort on various occasions (except one, as noted in its caption). No compensation was received for this post of any kind. A little history: the Greenbrier Resort, dates from 1778, when, even then, it was recognized as a luxury resort, offering the so-called healing waters from the springs for which its location was named – White Sulphur Springs (WV). The majesty of the National Historic landmark’s architecture saw many U.S. Presidents as its guests. Ownership has transferred several times in its more than 230 year history, most notably owned by the CSX Railway and its predecessor companies, Chesapeake and Ohio Railway and Chessie System, for almost 100 years. 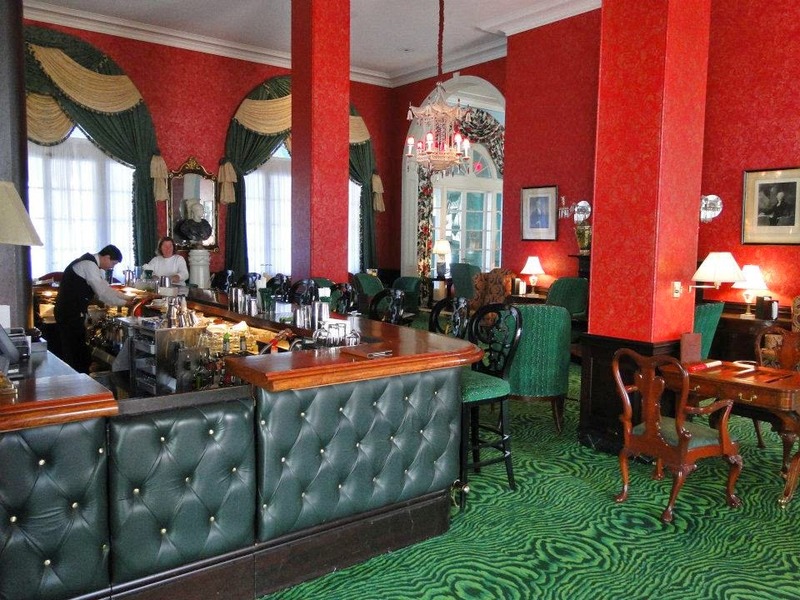 During U.S. wartimes, the Greenbrier was owned by the government (World War II) and/or occupied by military (including both sides during the Civil War), used as both hospital and military headquarters. The Greenbrier Resort front entrance, shortly after the new Casino Club was built underground, beneath the front lawn shown in the foreground. The U. S. Government approached the Greenbrier during the 1950's for its remote locale, to house a totally self-sufficient “bunker” bomb shelter, built underground alongside an above ground addition. It served as a former top-secret relocation facility for Congress during the Cold War – in the event of a nuclear attack on our nation. It was "de-bunked", or decommissioned only in 2009. Tours are still open of the once-secret facility. 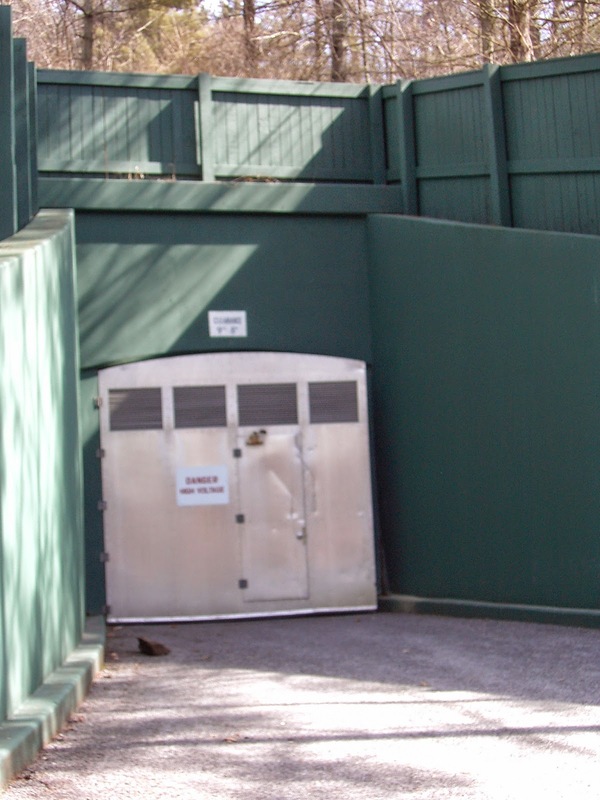 The Greenbrier Bunker's exterior "secret" entry, built beneath a visible, exterior addition to the resort. After World War II, the C&O Railway purchased the resort back from the U.S. State Department, and embarked on a huge renovation of the facility, commissioning the legendary Dorothy Draper for the interior design. It is Dorothy Draper's style of bold, vivid colors and oversized patterns that has become as notorious to the name Greenbrier as the healing waters for which the structure was first built. 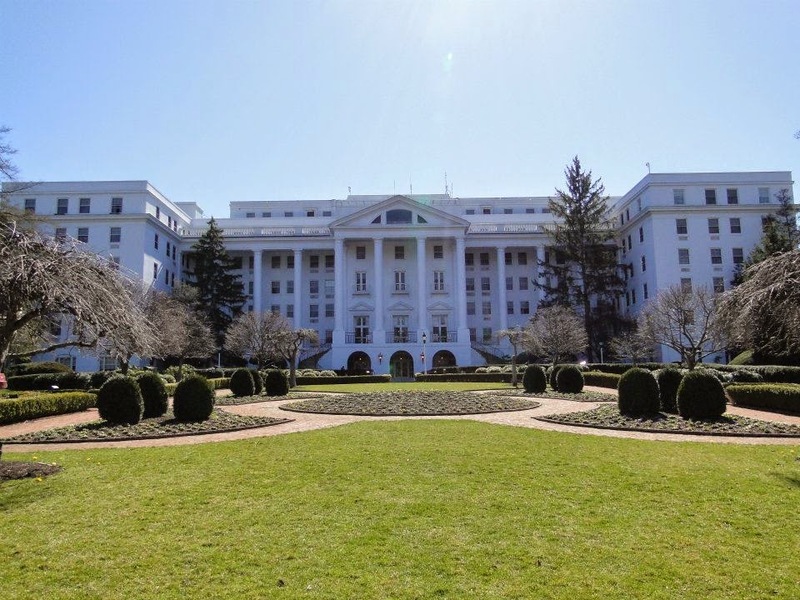 Fast forward to 2009, and a native West Virginian (Jim Justice) purchases the Greenbrier outright, saving it from bankruptcy, and embarks on a complete renovation of the facility in an effort to restore its five-star quality appeal. 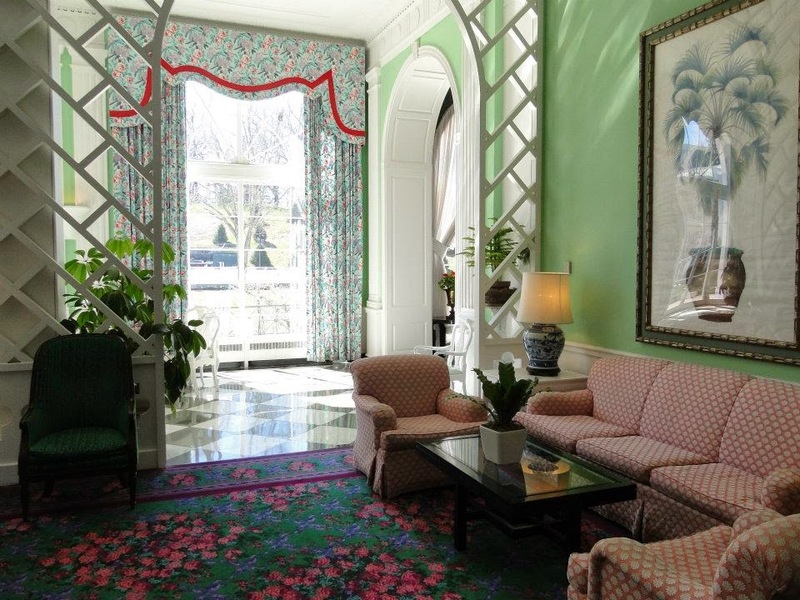 The signature Dorothy Draper interior design of the Greenbrier’s earlier (late 1940’s) renovation lives on through Carleton Varney, her protégé and business successor. Mr. Varney paid homage to Ms. Draper with interior updates, particularly in the gloriously decked-out new casino (built underground, beneath the front grounds, so as not to disturb the architecture’s original footprint – brilliant!). There is also a casual cafe named after the celebrated designer, Dorothy Draper, on the grounds. Dining has a long tradition at the Greenbrier's main dining hall, where the attire remains formal for multi-course meals. As the new owner, Jim Justice managed to relocate a leg of the PGA Tour to the Greenbrier in 2010, multi-million dollar housing developments are going up in the surrounding community, and the Greenbrier history is at its new dawn. 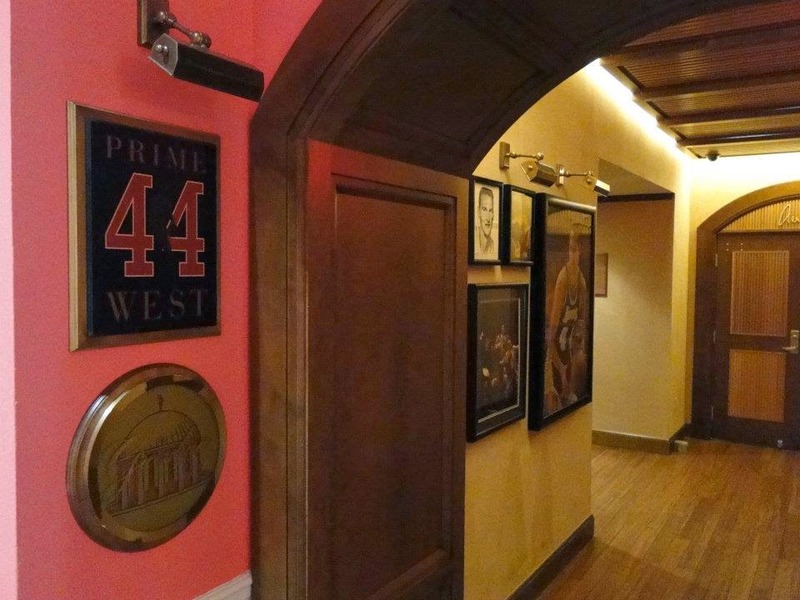 Legendary Lakers NBA basketball star (and another native West Virginian), Jerry West, has a namesake steakhouse restaurant on the grounds in the latest renovations, called Prime 44 West (after West's retired jersey number). 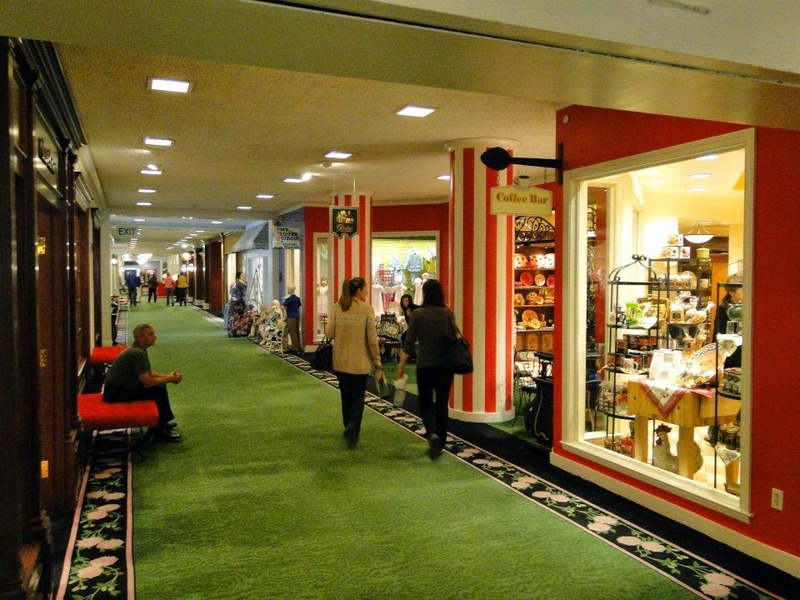 There are many new retail shops within the resort, including Varney at Home (Carleton Varney home furnishings), upscale clothing and accessories, gourmet kitchen, and even a toy store for the little ones. Besides the outdoor pool facility for warm weather months, there is also a wonderful indoor pool and spa, at the ready for rejuvenating and relaxing. 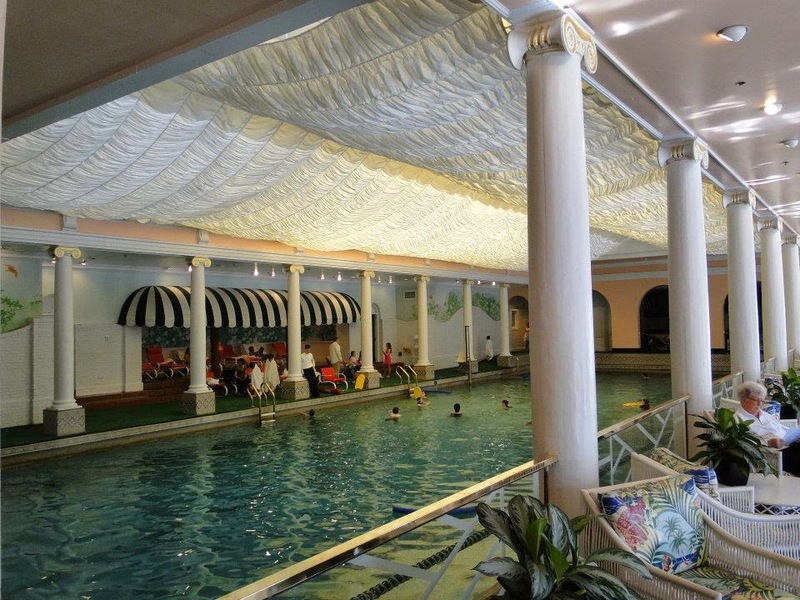 The indoor pool at the Greenbrier. Guest rooms at the Greenbrier have all been updated with luxurious details, including thick robes for guests. Even the hallways received a fresh dose of Draper pattern and color. The rest of the photos here are to give you a glimpse into just a few more of the public spaces within the Greenbrier's resort, of which there are a total of ten lobby areas, and more than 40+ meeting areas. Enjoy! 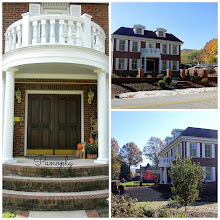 I hope you've enjoyed this pictorial tour and brief history of the Greenbrier Resort in West Virginia. It is truly worth trying to make at least a weekend getaway at this fine resort. It is so steeped in history, yet refreshed and renewed with all the updates and activities available. There's golf, tennis, horseback riding, walking trails, and so much more to do! There's even a bowling alley within the facility! 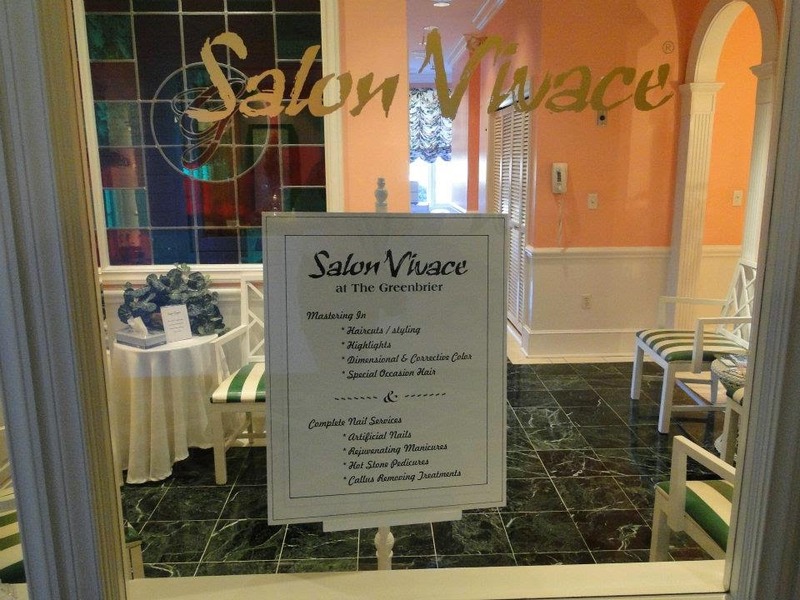 The resort offers wonderful packages for various getaway options, and you can find those at this link: The Greenbrier. I'll be writing a related post on the Greenbrier later in the week, creating a tablescape in the famed Greenbrier china I've been collecting, piece by piece. It's fun and functional restaurant ware. I hope you'll return, and join me at the table!